Oil on canvas, about 1785. 73 cm x 57 cm. Signed "Boze"
I suspect this portrait of Marie-Antoinette, painted in the mid 1780s by Joseph Boze, is a good likeness. 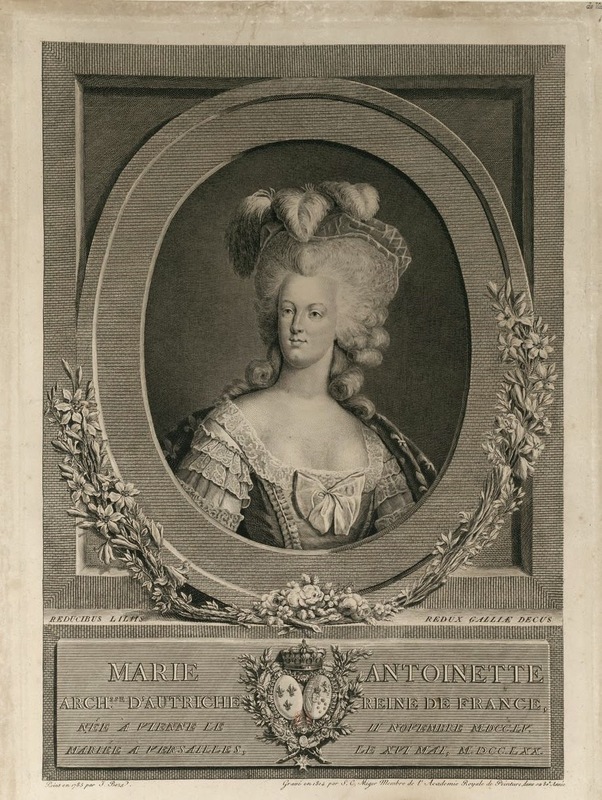 As reproduced by Olivier Blanc in his book Portrait des femmes (2006) it is beautiful, with subtle skin-tones; I like particularly Marie-Antoinette's slightly watery blue eyes with their hint of light-coloured lashes. There is also little effort to disguise the hooked nose and Hapsburg chin, omitted from many pictures, though more in evidence in sculptured busts of the Queen. Boze was predominantly a pastellist, so working within an informal tradition of portraiture, and had a reputation for realism. In the early 1780s, several new portraits of the Queen were made in the search for an improved royal image. Boze, who moved from Nîmes to Paris at this time, was introduced into royal circles possibly through the intermediary of the comte de Tessé, premier écuyer de la reine, and had high hopes of making his career. "I had the good fortune to paint the King and created a striking likeness, which procured me commissions for the royal family and gave me a distinguished reputation", wrote Boze in May 1785. His account books for 1786-87, which survive, show him hard at work on his royal portraits, creating numerous copies, both in pastel and miniature. His family came to join him in Versailles, where he was lodged in the apartments of the prince de Conti, and he later rented a stylish apartment in the place des Victoires. 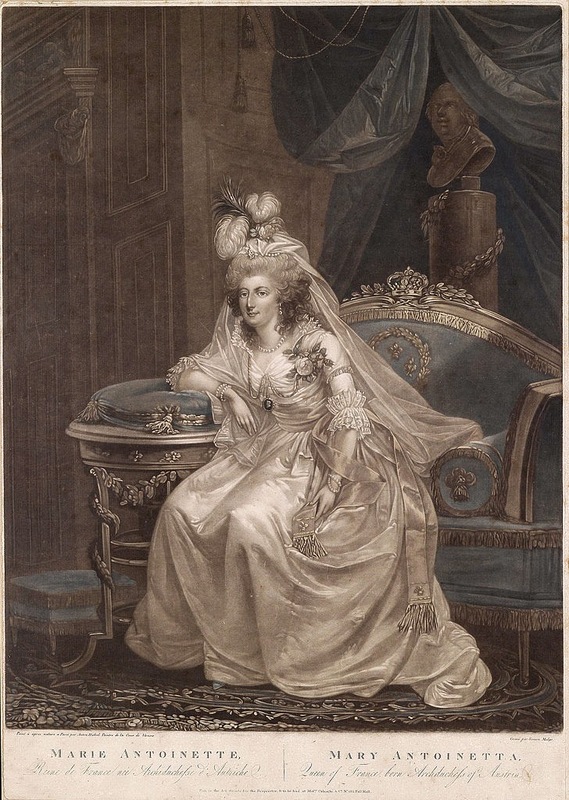 The current portrait was billed at 2,400 livres (admitted a relatively modest figure when compared with the 18,000 paid to Vigée Le Brun for her famous portrait of the Queen and her children). Olivier Blanc, Portraits des femmes: artistes et modèles à l'époque de Marie-Antoinette (2006),p.136-7. the pastor Goulden, in Sedan. Despite Boze's propensity to copy his own work, there is only the one documented full size version of this portrait, recently reproduced by Gérard Fabre in his exhibition catalogue, Joseph Boze, portraitiste de l'Ancien Régime à la Restauration (2004) and also in Olivier Blanc's Portraits des femmes. The description in Boze's accounts suggests that the original was different, "round and a half-length" ("à mi-corps"), which is possibly why Olivier Blanc describes this as a "version". Provenance can be traced right back to Thierry de Ville d'Auvray, Louis XVI's premier valet de chambre, who was also in charge of the garde meuble between 1784 and 1790. A photograph in the Bibliothèque nationale of what is almost certainly the same painting, describes it as belonging in 1906 to "Pastor Goulen in Sedan". Long in private hands, the painting was sold by Sotheby's in 2000 for the bargain price of only £5,000. Blanc mentions a miniature in the Hermitage but I haven't been able.to trace it. ﻿The painting is also the subject of a fine engraving; The label reads, "Painted in 1785 by J.Boze. Engraved in 1814 by Simon-Charles Miger, Member of the Académie Royal de Peinture, in his 80th year" The Bibliothèque nationale notice adds that it after the same original "in the possession of the pastor Gouden in Sedan". The engraving below is sometimes identified as being after a miniature by Boze in the Hermitage. According to the British Museum, though, it may be from a portrait by Carl Anton Hickel. A look at Hickel's attested work (see right below) suggests that this is correct, and no more versions of the Boze painting need to be assumed.